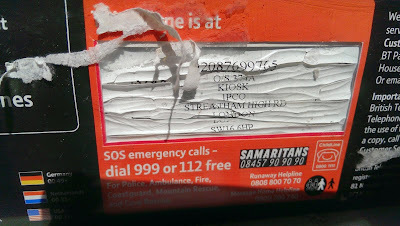 Loved how someone took it upon themselves to box off this payphone with street signs. 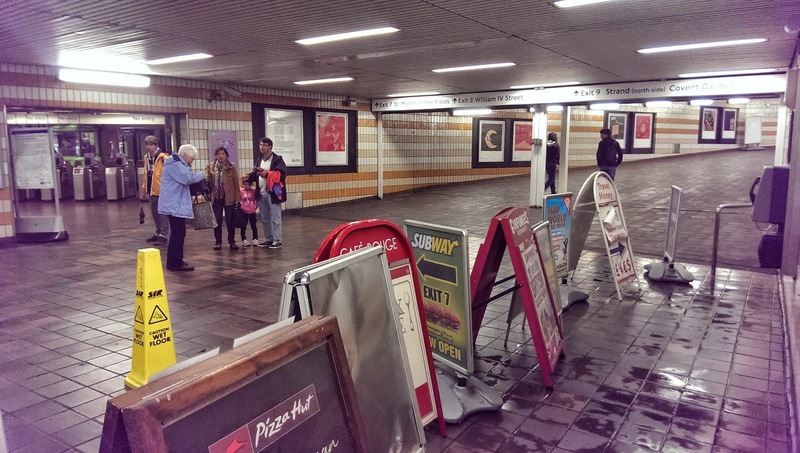 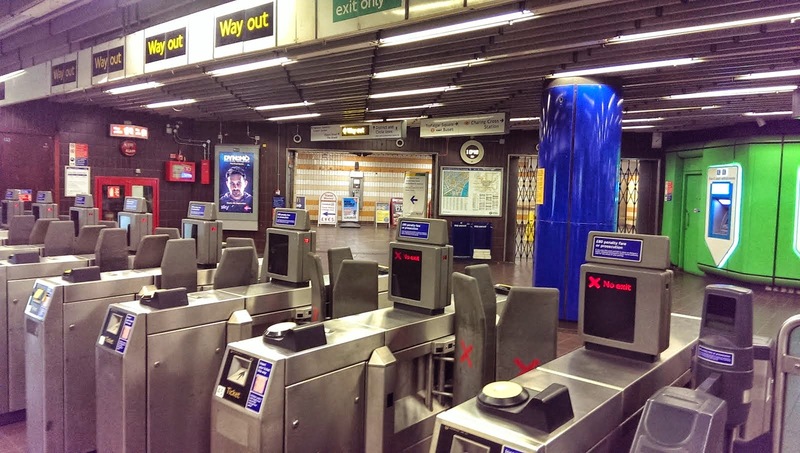 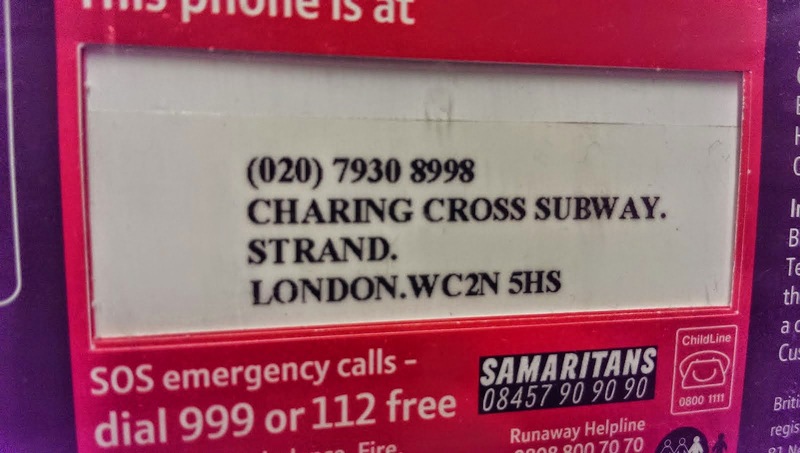 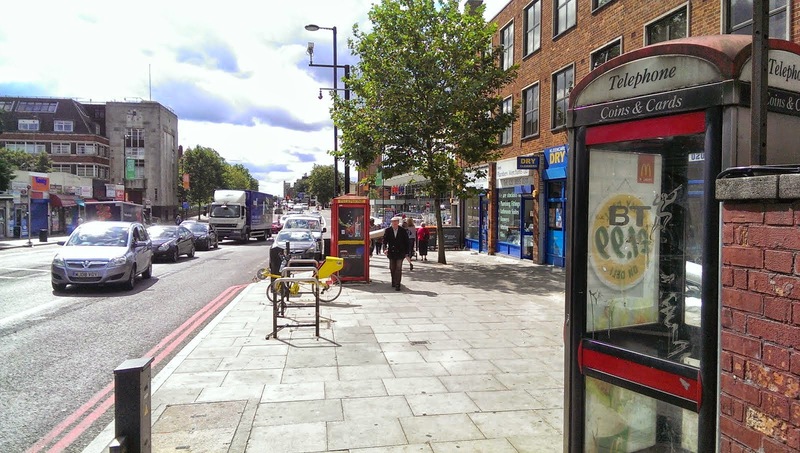 The payphone is in a destitute location and it's ring will be heard by people leaving the Charing Cross tube station. 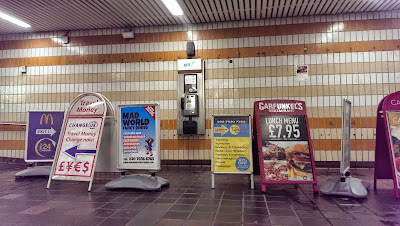 It's very close to another payphone which I listed here in the same subway ( http://www.payphonebox.com/2011/08/442079308998-strand-charing-cross.html?m=1 ). Spotted this phone box on a nice sunny day. 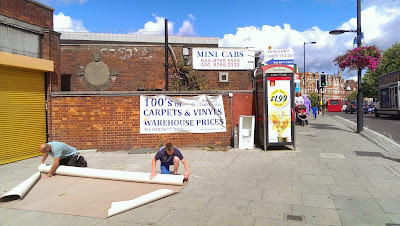 Had two guys rolling carpets beside it. Think it's a regular occurrence, seeing as it's right by a carpet shop. The corner the phone box stands on is very busy as there's an important station right around the other side of it. 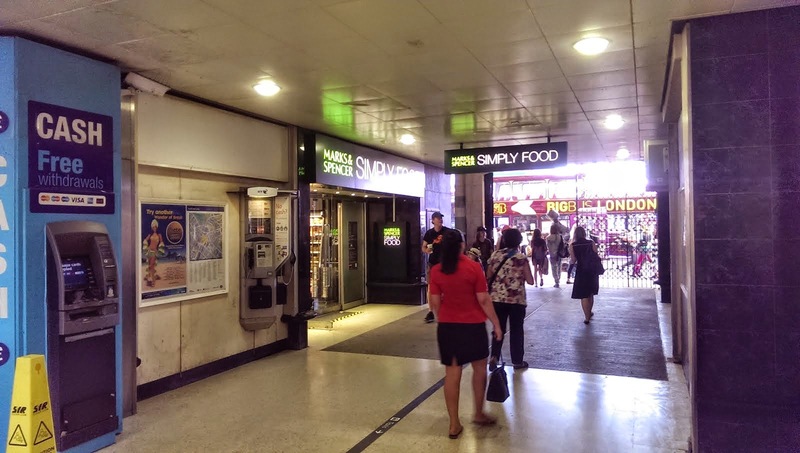 Great for rush hour calling. 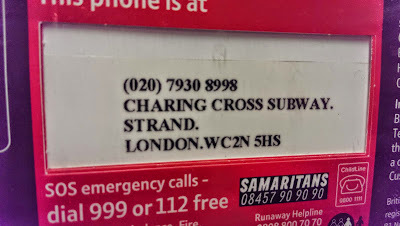 Witnessed this guy walking the length of Tottenham Court Road in London, visiting each payphone in order and sticking of host these notorious call-girl cards in each of the boxes. 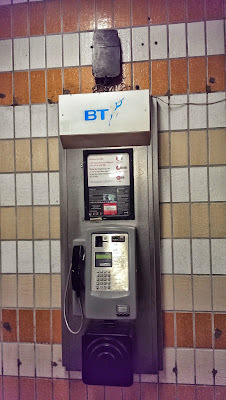 Coming straight out of the arrivals gate you'll see this first row of awesome Japanese payphone. I pictured this tourist take a few trials in using one. 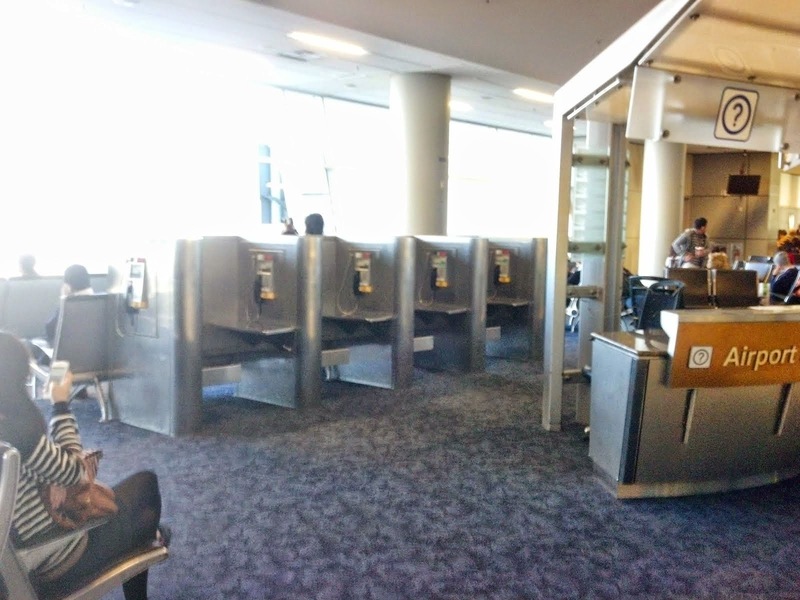 He did eventually make his call and demonstrates that payphones are at least still needed in airports. 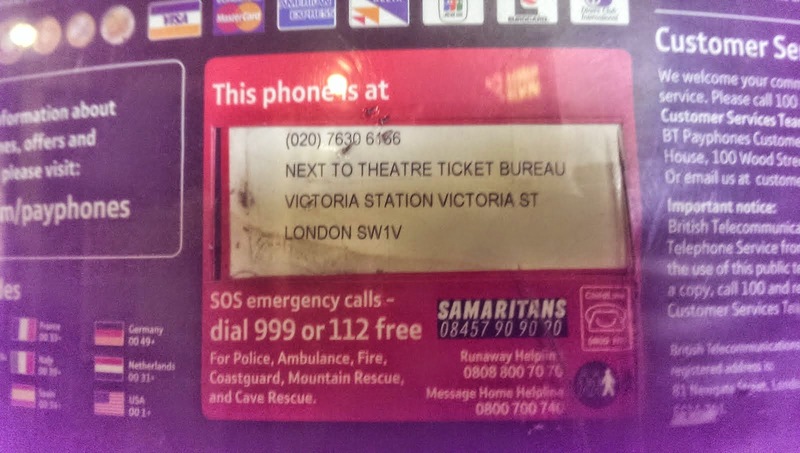 I never worked out the public numbers to dial into these payphones despite seeing numbers on some information cards. 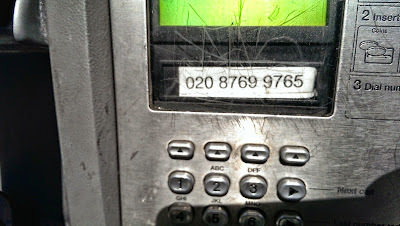 If anyone knows how to decipher these and figure out the numbers, please let me know. 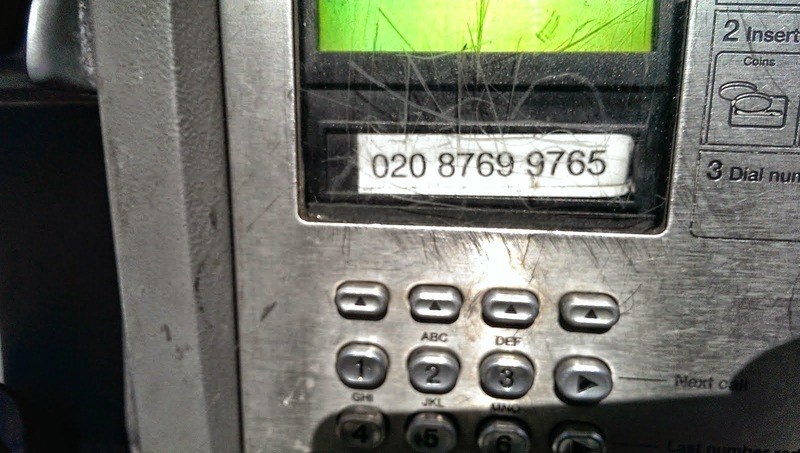 2600 The Hacker Quarterly (31-1 Spring) - Payphones of the World. 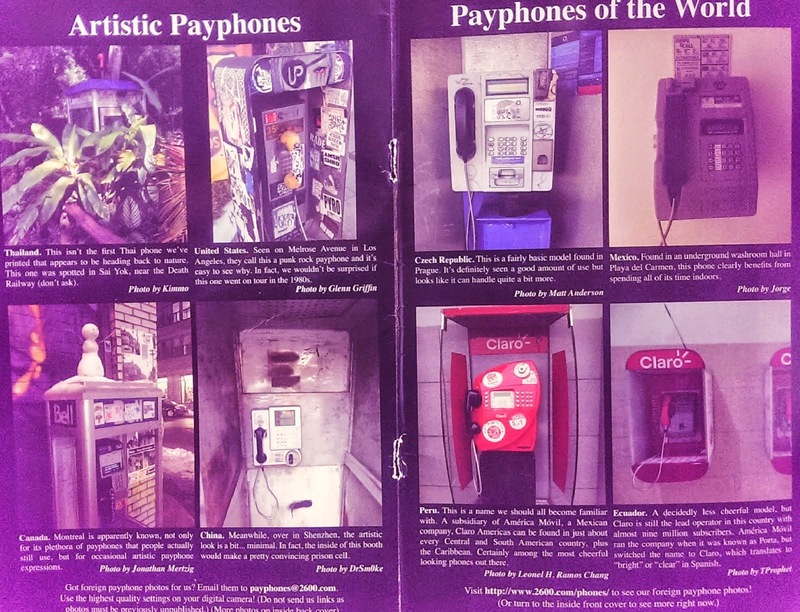 The inside cover showing some awesome payphones from around the world. 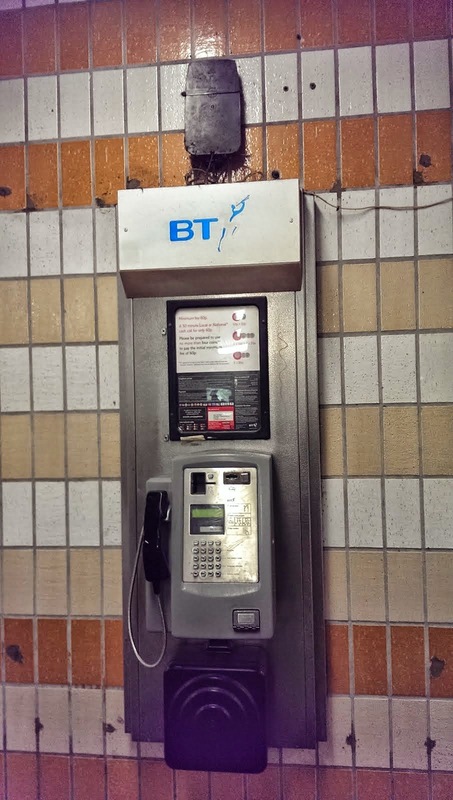 It you have any issues of The Hacker Quarterly please do email us an image of the payphone section. 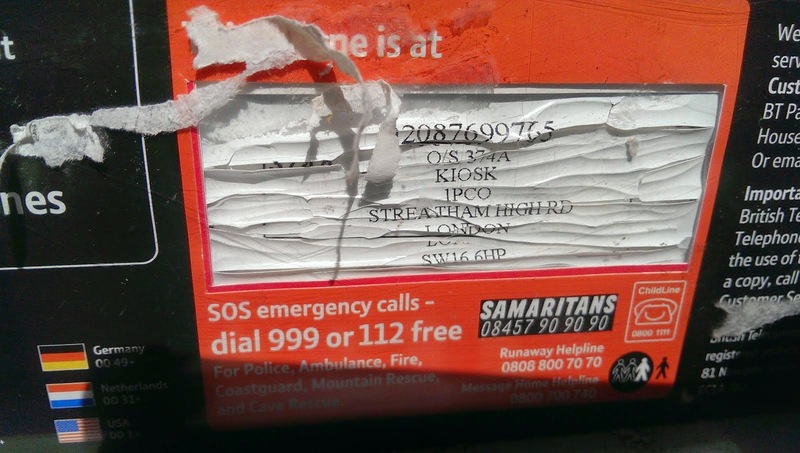 Email address is below. Terminal D international Terminal, inside secure area. 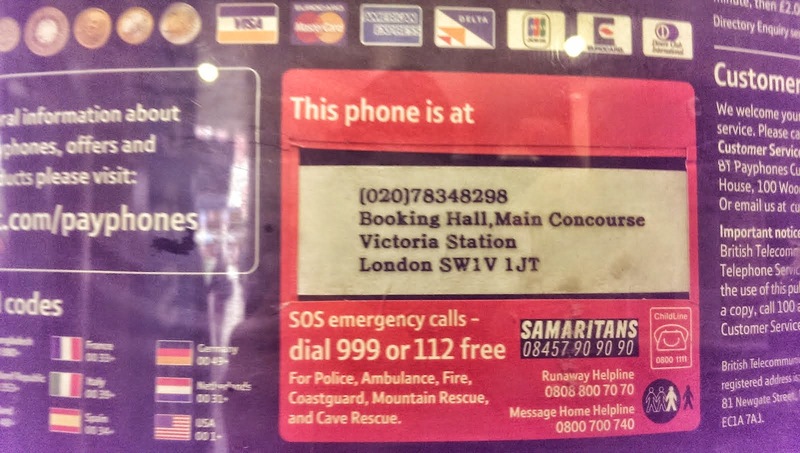 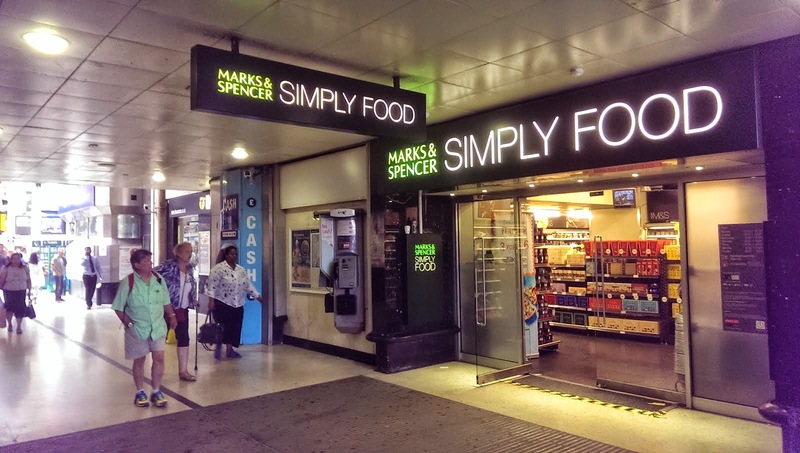 +442076306166 and +442078348298, Next to Theatre Ticket Bureau, Victoria Station, Victoria Street, London, SW1V 1JT, United Kingdom. 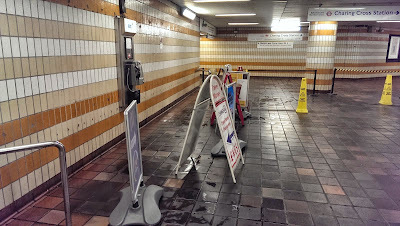 Absolutely amazing footfall past these payphone in this passageway.